Why Couldn’t They Remember Him? 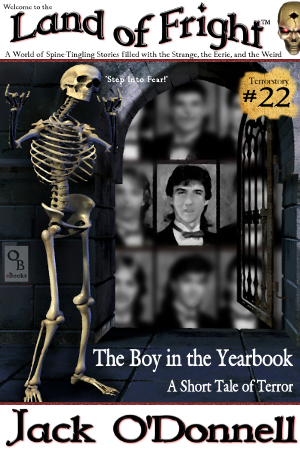 His eyes were what grabbed hold of them every time they looked at his yearbook portrait. Eyes that looked like they held an infinite pool of something. Of what, she wasn’t sure. Sadness. Rage. Contempt. Hopelessness. Every time she looked at his eyes in the yearbook photograph she saw something different in them. Had he been a last minute transfer student? Some kid who had just moved in? No, she knew he hadn’t been. Something deep inside her told her that wasn’t true. He had always been a student at the school. He wasn’t some new kid. So who was he? And why couldn’t they remember him?